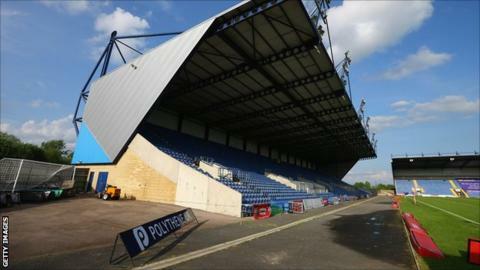 The owners of Oxford United's Kassam Stadium have failed with a second appeal to prevent the ground being listed as a community asset. The application for community asset status was made by supporters' trust OxVox and it means the group must be notified if the ground is to be sold. What is an Asset of Community Value (ACV) and how does a listing work? A building, or other land, is an asset of community value if its main use is, or has recently been, to "further the social wellbeing or social interests of the local community" and it could do so in the future. The request must come from a voluntary or community body with a local connection and relate to land in the local authority's area, or in the neighbouring local authority's area. The listing lasts for five years and also includes should the stadium be put up for sale, a 'right to bid', which can be lodged by the group concerned within a period of six weeks, with finance secured in a period of up to four-and-a-half months. Kassam's latest appeal against OxVox has now been rejected by the courts. Owners Firoka had asked Oxford City Council to hold an internal review of May's decision to award the status. Having a football ground listed as a community asset means supporter groups will have six months to put together their own bid for the stadium if it is to be sold. Since the ruling was made in May 2013, Manchester United's Old Trafford has also been listed an a community asset and applications have also been made for many other grounds, including Liverpool. Manchester United's owners also requested a review of the decision to list their stadium, but later withdrew this request. Oxford have played at the stadium since it was opened in 2001 by former owner Firoz Kassam, who sold the club five years later, but retained control of the ground. Current U's owner Ian Lenagan has previously stated his desire to try to buy the ground.